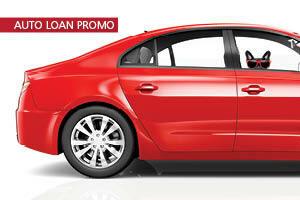 Drive away with a better deal with new auto loan rates as low as 1.99% APR. If you’re a homeowner, you know your home is your biggest investment. Count on us to help you take care of it with a Roof & Renovation Loan when you need to make any home improvements. Our low loan rates make your home improvement projects possible. Put on a new roof, remodel the kitchen or add a bathroom. Bring your contractor’s final purchase estimate to any branch. Get professional results from one of our participating contractors. Ready to apply for your Roof & Renovation Loan? *The Roof and Renovation Loan (RnR) program is available only by participating contractors. The maximum loan amount is $75,000 and is subject to approval. A contractor’s participation in the HSFCU RnR loan program does not imply endorsement of the contractor by HSFCU. The RnR Loan program, is subject to change, and may end at any time. Membership in Hawaii State Federal Credit Union is required. Rates are subject to change at any time without prior notice. Must be a Hawaii resident. **The Roof and Renovation (RnR) Loan program features 0% interest rate and no payments for the first 12 months with a subsequent interest rate of 7.25%, 8.00%, or 8.25% for the remaining 6 years based on your creditworthiness. The blended APR over the entire 84 month term of the loan is 5.364%, 5.908% or 6.089%, respectively. The interest rates include a 0.25% discount for establishing auto-pay from an HSFCU checking account at the time of loan closing. The interest rate will be 0.25% higher and the blended APRs will be 0.143% higher without the discount. Rates are effective 4/1/2019 and are subject to change without notice. A loan of $30,000 with a 7.25% interest rate will have: 72 payments of $515.08 and total interest paid of $7,085.70. A loan of $30,000 with a 8.00% interest rate will have: 72 payments of $526.00 and total interest paid of $7,871.80. A loan of $30,000 with a 8.25% interest rate will have: 72 payments of $529.67 and total interest paid of $8,136.01. These are estimates only. Speak to a Hawaii State FCU loan representative at any branch for more information, or call (808) 587-2700. How long will it take to pay off a debt? 1 On approved credit. 0% interest and 0 payments for the first 12 months. After the first 12 months (months 13 to 84), the interest you pay will be based on your creditworthiness and will be 7.25%, 8.00%, or 8.25% per annum. The blended APR over the 84-month term is 5.364%, 5.908%, or 6.089%, respectively. The interest rates for months 13 to 84 include a 0.25 percentage point discount for establishing auto-pay from an HSFCU checking account. The interest rates will be 0.25 percentage points higher and the blended APRs will be 0.143 percentage points higher without the discount. * Blended APR includes 0.00% interest for the first 12 months, and assumes a total loan term of 84 months. These are estimates only. Speak to a HSFCU loan representative at any branch for more information, or call (808) 587-2700. The Roof and Renovation Loan (RnR) program is available only by participating contractors. The maximum loan amount is $75,000 and is subject to approval. A contractor’s participation in the HSFCU RnR loan program does not imply endorsement of the contractor by HSFCU. The RnR Loan program, is subject to change, and may end at any time. 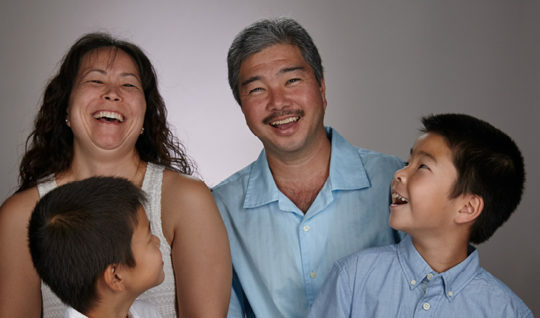 Membership in Hawaii State Federal Credit Union is required. Rates are subject to change at any time without prior notice. Effective as of 4/1/2019, and may change at any time without notice. We may provide links to external websites that refer to third party services and products available to Hawaii State FCU members. Please review the terms and conditions of use carefully. Such services and products are not obligations of, nor endorsed or guaranteed by, Hawaii State FCU nor the National Credit Union Share Insurance Fund. We do not make any express or implied representation or warranty to you concerning the quality, safety or suitability of external websites, or their services or products. Alternative services and products may be obtained from other providers of your choice. External websites are not under our control and may have different policies and security. Using the links may identify you as a Hawaii State FCU member to the external website operator. Click “ACCEPT” to enter an external website. Click “Cancel” to return to HSFCU’s website.